Click image to enlarge Crow Butte, Washington, as seen from the west. View from Washington State Highway 14. Image taken May 24, 2005. Crow Butte lies on the Washington side of the Columbia River at River Mile (RM) 262. Just downstream is Alder Creek, where Lewis and Clark spent the night of April 24, 1806. 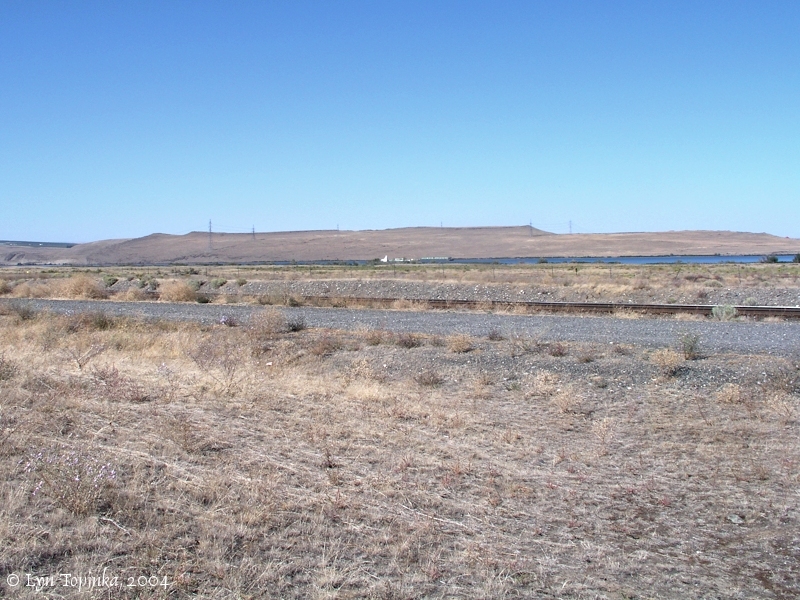 Upstream lies Canoe Ridge, and across from Crow Butte on the Oregon side lies the site of the historic community of Castle Rock. Crow Butte is 28 miles downstream (west) of Plymouth, Washington, and can be reached from Washington State Highway 14. Before flooding of the valley behind the John Day Dam, Crow Butte was a part of the Washington shore. 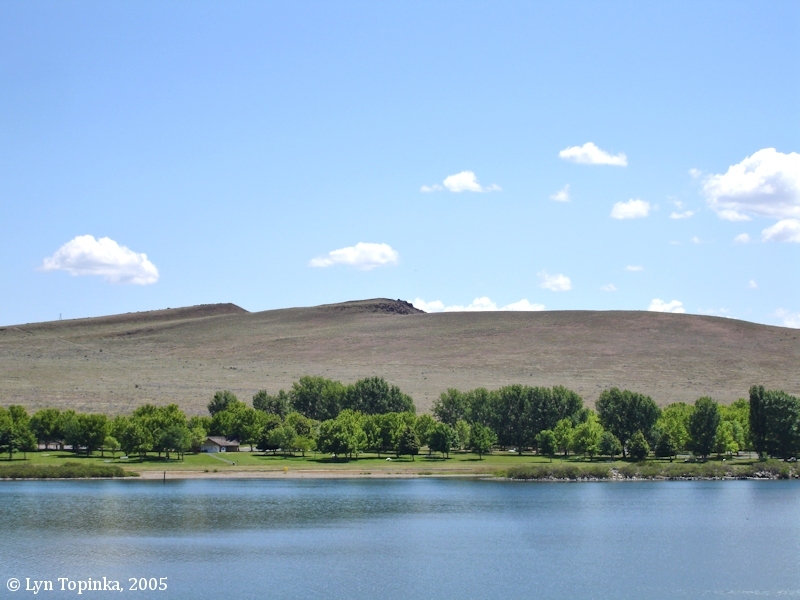 Golgotha Butte lies downstream with Artesian Coulee separating it from Crow Butte. Canoe Ridge lies upstream with Canoe Encampment Rapids at its base. After the flooding of the valley Crow Butte became an island. It now has a causeway connecting it to shore. Crow Butte Park (formerly Crow Butte State Park) is located on the island. Click image to enlarge HISTORICAL MAP ... 1906 Topographic Map detail, Castle Rock, Washington. Detail from "Blalock Island", 1906, 1:125,000, original map courtesy University of Washington Early Washington Maps Digital Archives. Crow Butte Park (formerly Crow Butte State Park) is a 397-acre camping, day-use, and boating park administered by the U.S. Corps of Engineers. In August 2002 Crow Butte State Park closed to the public due to budget cuts. 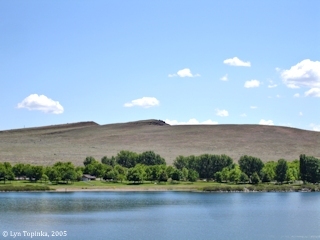 It re-opened as Crow Butte Park in August 2003, with a private manager. The land is owned by the U.S. Corps of Engineers. 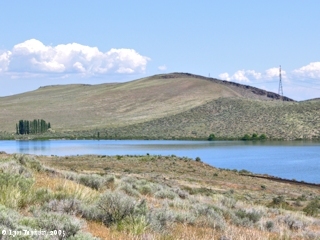 Crow Butte, along with three other eastern Washington state parks which closed in 2002, were on land leased to the State of Washington by the U.S. Army Corps of Engineers. 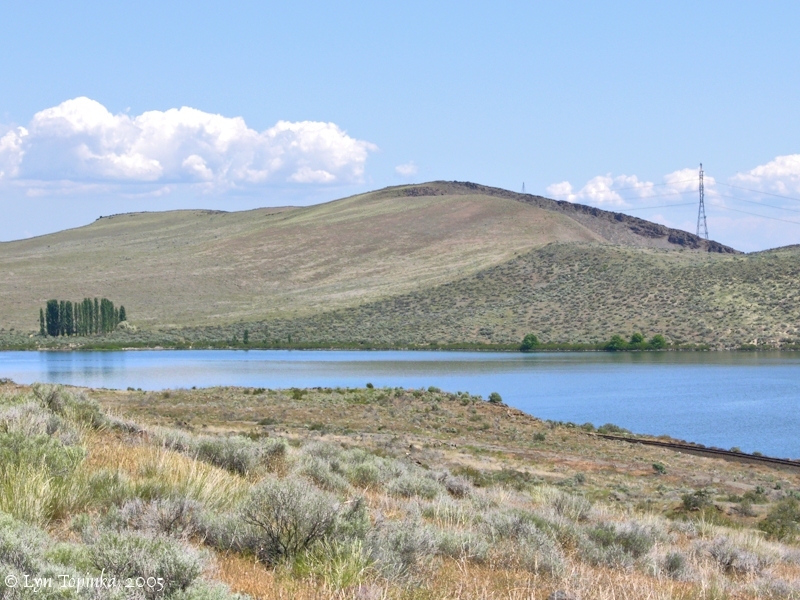 The Corps built the parks in the 1960s and 1970s as compensation for recreational opportunities that were lost when the Snake and Columbia rivers were dammed. It then handed them over to the state to operate. 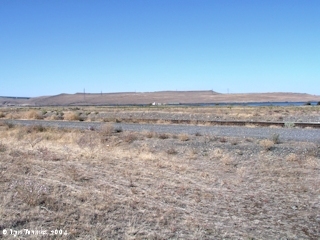 Click image to enlarge Crow Butte, Washington, as seen from Tower Road, Oregon. Image taken September 24, 2004. Click image to enlarge Crow Butte Park, Washington. View from Washington State Highway 14. Image taken May 24, 2005. The 1906 "Blalock Island" Topographic Map shows two ferries crossing the Columbia River from Castle Rock, Oregon, both heading to Crow Butte, Washington.